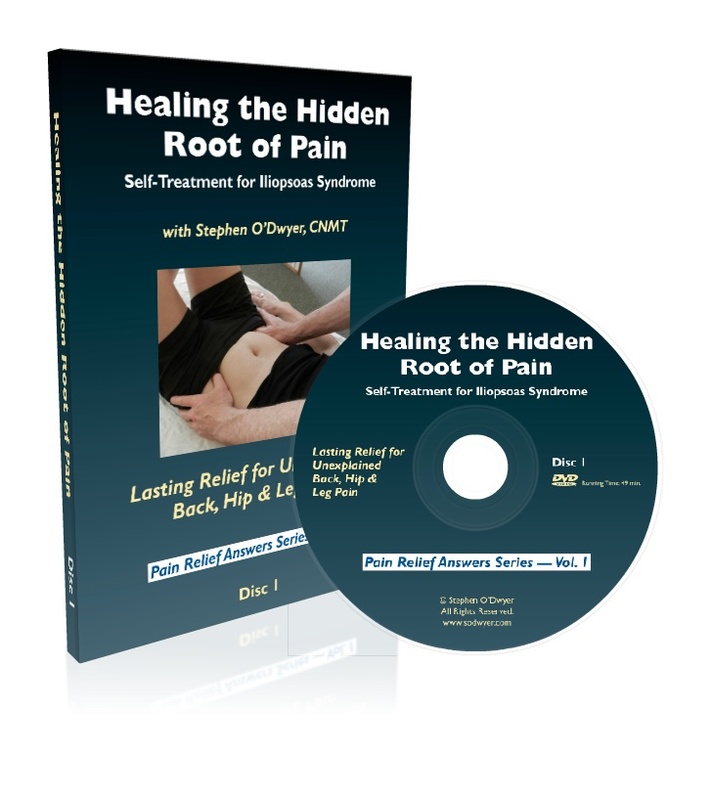 Back pain treatment has evolved dramatically over the last 50 years. Increasingly we know that it's simply not true that a sharp pain in your lumbar spine means you're a candidate for surgery. In fact, only a very small percentage of back pain sufferers require surgery. The vast majority of back pain is not caused by herniated discs requiring surgery, but muscular spasm and strain requiring conservative back pain treatment and therapy. Listed here is an index of conservative, innovative therapies. The sheer variety of alternatives is a testament to the variety of back pain problems. Back pain is not a generic thing; so nor can back pain treatment be generic. The appropriate back pain treatment depends on many factors including the precise cause of pain, as well as personal preference. Below are summaries of innovative hands-on and movement therapies which have developed over the last 40-50 years. If you haven’t heard of them, it isn’t because they aren’t effective. It’s because mainstream medicine has yet to embrace a holistic model of the body, and a new, conservative model of back pain treatment. Deep Tissue Massage - Deep Tissue Massage, when properly applied by a well-trained therapist, can be an extremely effective back pain treatment. Neuromuscular Therapy - This type of therapy utilizes sophisticated hands-on techniques in combination with detailed structural evaluation in order to provide lasting pain relief. A superior back pain treatment for many types of problems. Hanna Somatics - Hanna Somatic Movement Therapy reawakens the mind's control of chronically contracted muscles using a series of gentle, easy-to-learn movements. This back pain treatment is especially appropriate when the pain is so strong that you can't easily be touched. Rolfing - Rolfing, also known as Structural Integration, is a hands-on method of lengthening and reorganizing the myofascial layers of the body’s soft tissue in order to 1) restore the body to a balanced relationship with gravity, 2) restore freedom of movement, and 3) relieve chronic stress and pain. Hellerwork - Hellerwork is a powerful system of somatic education and structural bodywork, based on the inseparability of body, mind, and spirit. Following Ida Rolf’s lineage of Structural Integration bodywork, Joseph Heller incorporated movement education/awareness and body-centered human development processes creating Hellerwork. Deep tissue bodywork combined with movement education and dialogue of the mind/body connection guides you to new options, both physically and emotionally. Hellerwork encourages you to make the connection between movement and body alignment. Hellerwork restores your body's natural balance from the inside out. Myofascial Release (MFR) - Myofascial Release is a very effective hands-on technique that provides sustained pressure into myofascial restrictions to eliminate pain and restore motion. The theory of Myofascial Release requires an understanding of the fascial system (or connective tissue). The fascia is a specialized system of the body that has an appearance similar to a spider's web or a sweater. The use of Myofascial Release allows the practitioner to look at each patient as a unique individual. The one-on-one therapy sessions are hands-on treatments during which the therapist uses a multitude of Myofascial Release techniques and movement therapy. They practitioner strives to promote independence through education in proper body mechanics and movement, through the enhancement of strength, flexibility, and postural and movement awareness. Craniosacral Therapy (CST) - CST was pioneered and developed by osteopathic physician John E. Upledger following extensive scientific studies from 1975 to 1983 at Michigan State University, where he served as a clinical researcher and Professor of Biomechanics. Feldenkrais® is a system of movement re-education that looks at how you move and how that may be causing the difficulties you're experiencing physically. Awareness Through Movement® is a group class where you're verbally guided through movement sequences that help you change your bad movement habits and find ones that are comfortable and bio-mechanically correct. Functitional Integration® is a session of hands-on gentle manipulation. The practitioner is looking at where you move and where you may be stuck and then introduces gentle movement to get you moving in an integrated comfortable way. Osteopathy - Developed 130 years ago by physician A.T. Still, osteopathic medicine is one of the fastest growing healthcare professions in the U.S. and brings a unique philosophy to traditional medicine. With a strong emphasis on the inter-relationship of the body's nerves, muscles, bones and organs, doctors of osteopathic medicine, or D.O.s, apply the philosophy of treating the whole person to the prevention, diagnosis and treatment of illness, disease and injury. Chiropractic - Chiropractic is a health care discipline which emphasizes the inherent recuperative power of the body to heal itself without the use of drugs or surgery. The practice of chiropractic focuses on the relationship between structure (primarily the spine) and function (as coordinated by the nervous system) and how that relationship affects the preservation and restoration of health. Chiropractic is concerned with the preservation and restoration of health, and focuses particular attention on the subluxation. A subluxation is a complex of functional, structural, or pathological articular changes in the spine that compromise neural integrity and may influence organ system function and general health. Many chiropractors treat subluxations using high-velocity techniques to correct the subluxation. Other chiropractors prefer a low-force technique utilizing a hand-held device called an activator. Therapeutic Massage - Therapeutic massage is one of the oldest, simplest forms of therapy and is a system of stroking, pressing and kneading different areas of the body to relieve pain, relax, stimulate, and tone the body. Massage does much more than create a pleasant sensation on the skin, it also works on the soft tissues (the muscles, tendons, and ligaments) to improve muscle tone. It benefits the muscles just under the skin, as well as reaching the deeper layers of muscle and the vital organs themselves. A skilled massage therapist can stimulate blood circulation and assist the lymphatic system, improving the elimination toxins. While a single massage will be relaxing, the effects of massage are cumulative and a regular course of massage treatments can produce many benefits. Regular massage can strengthen and tone the entire body, and also help to prevent strains and injuries that might otherwise occur due to excess tension and any resulting structural weaknesses. Massage can stimulate or calm the nervous system, depending upon what is required by the individual. It can help reduce fatigue, leaving the receiver with a feeling of replenished energy. At its best, massage has the potential to restore the individual physically, mentally and spiritually.